For years, Chez Philippe, a sophisticated Four-Star restaurant in the historic Peabody Memphis hotel, has been a favorite of foodies, movie stars, celebrity chefs and well-heeled locals. Like clockwork, the crowds show up every evening, filling the opulent dining room for the opportunity to feast on the culinary artwork on display. The service is efficient and unobtrusive, and the atmosphere is hushed, elegant and refined. 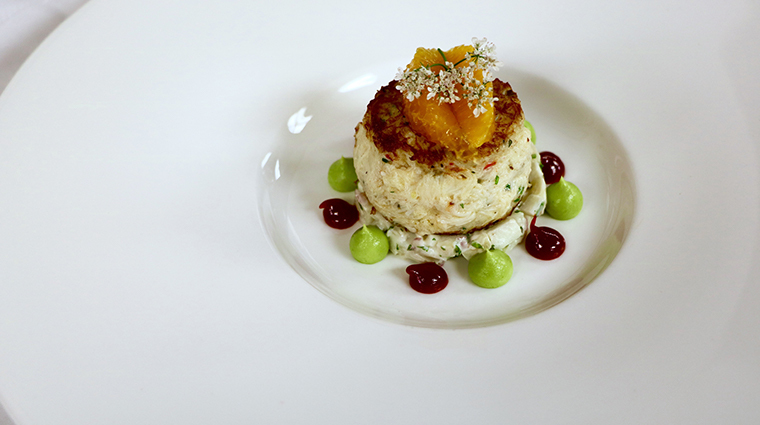 Chef Andreas Kisler applies simple, seasonal ingredients to the delicate dishes of French origin, which are occasionally accented with regional flair. Chez Philippe’s downtown location is just blocks from Memphis attractions such as Beale Street, the Memphis Rock N’ Soul Museum, Gibson Guitar Factory, National Civil Rights Museum and Sun Studio — an ideal spot for a bite before seeing a show at the Orpheum Theatre or enjoying a night on the town. Although the idea of fine dining tends to evoke stuffy attitudes and prim and proper behavior, Chez Philippe takes advantage of its location in The Peabody Memphis and boasts Southern hospitality and charm. The waitstaff create a relaxed and comfortable atmosphere. 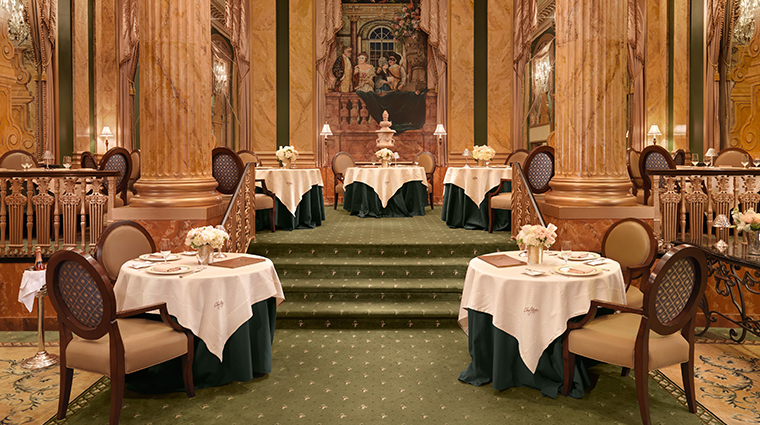 We think the best tables at Chez Philippe are the three corner tables on the third tier of the Four-Star restaurant. They overlook the whole room, so you will have your back to the wall and not to people. 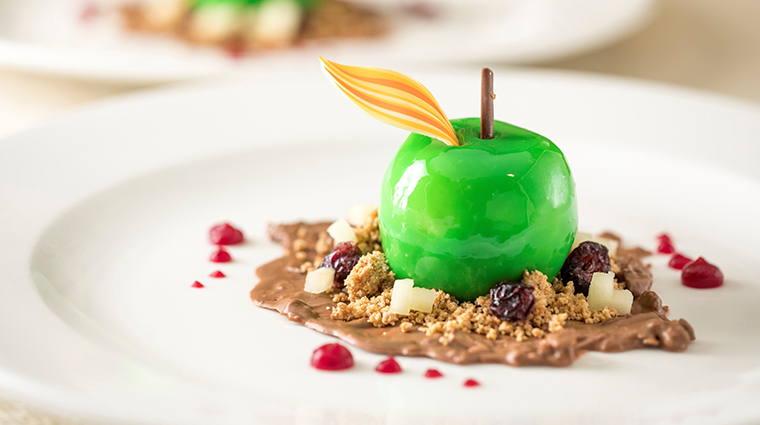 You won’t want to skip dessert here— executive pastry chef Konrad Spitzbart creates sumptuous dishes such as the chocolate coffee gateaux with peanut butter caramel and banana rum ice cream — a nod to Elvis —and the crème brûlée trio of vanilla, chocolate and pistachio with French macarons. Service at Chez Philippe is beyond reproach; the staff of the Four-Star restaurant is very knowledgeable about the menu and attend to each table like Goldilocks — not too frequently, not too infrequently, but just right. The dress code at Chez Philippe is business casual. If you find yourself in more casual clothing, three-tiered Chez Philippe will accommodate you, but you will probably be seated on one of its lower tiers. 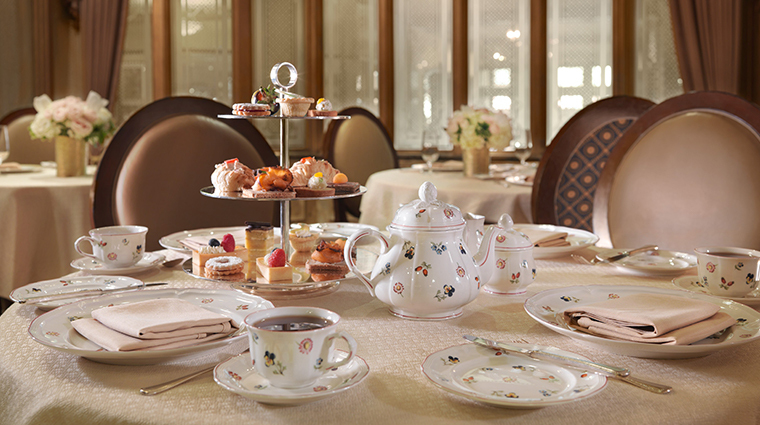 Chez Philippe offers four- or seven-course meals come dinnertime as well as an elegant afternoon tea. Although it is classically French, duck is not on the menu. Located inside The Peabody Memphis, the restaurant does not serve duck, since these feathered-friends are world-famous residents of The Peabody Memphis. 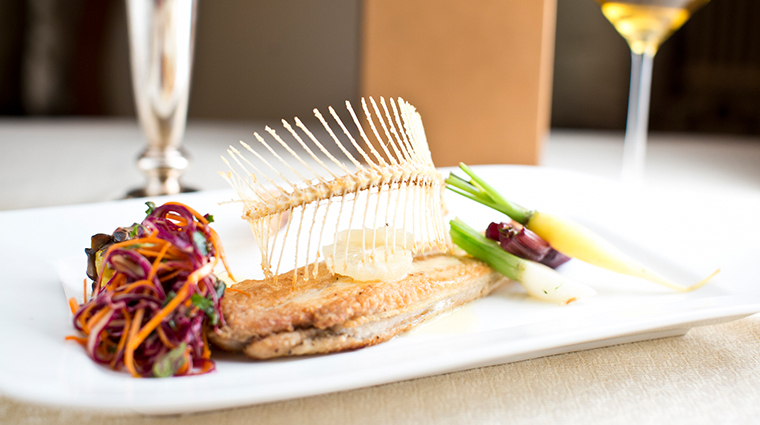 The menu at Chez Philippe will take your palate on a sensory ride of classical French cuisine with a Southern influence. A four-course prix-fixe menu invites you to select options from the garden, ocean, land and confection for a true taste of the best local ingredients. Your meal might start with a salad of caramelized figs and pickled onions, followed by charred scallops and an herb-crusted lamb rack finished off with a trio of crème brulee. 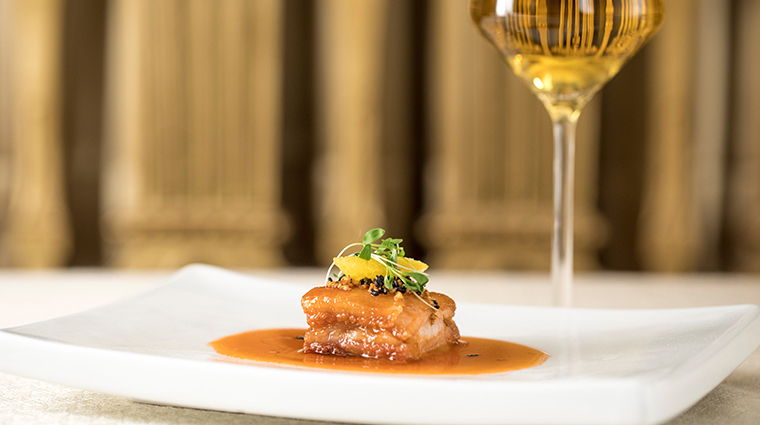 For the ultimate indulgence, opt for the seven-course chef’s tasting with wine pairings. The interior design of Chez Philippe is opulent — matching its indulgent French cuisine. The Four-Star restaurant in downtown Memphis is decorated with elegant gold drapes over the archways, plus cream tones on the walls and table linens. The soft, warm colors will make you feel relaxed and at ease, while the high ceiling, Roman columns and vibrant fresco paintings give the feel of sitting on the French Riviera — not the Mississippi River.